Product #5999 | SKU CYX-403M | 0.0 (no ratings yet) Thanks for your rating! 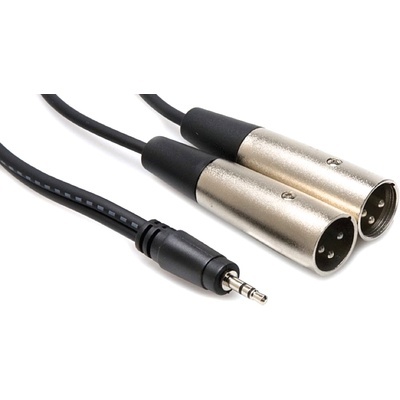 The Hosa CYX403M 3.5mm to XLR3M Y-Cable (3m). This cable is designed to connect a digital audio player or similar device to pro audio gear. It is ideal for connecting an iPod, laptop, or similar device to a mixing console.